» Prediabetes: Soluble And Insoluble Fiber. Why You Need to Eat Both. ...AND how you can eat lots of both by simply doing one thing. ...AND how to identify fiber on a nutrition facts label. So let's first talk about what fiber is. Fiber is the part of the plant that you can't totally digest...but that doesn't mean you shouldn't pay attention to it! Fiber is SUPER important for your overall health. Why? Because it helps prevent colon cancer AND improves your blood sugar control (more on that later). ALL unrefined, unprocessed plants are totally full of fiber! On the other hand...refined and processed plants usually have NO fiber. I'm talking about things like white bread, white flour, potato chips, refined sugar, cookies, crackers, donuts, bagels, pizza crust, French fries and things like crunchy snack foods. 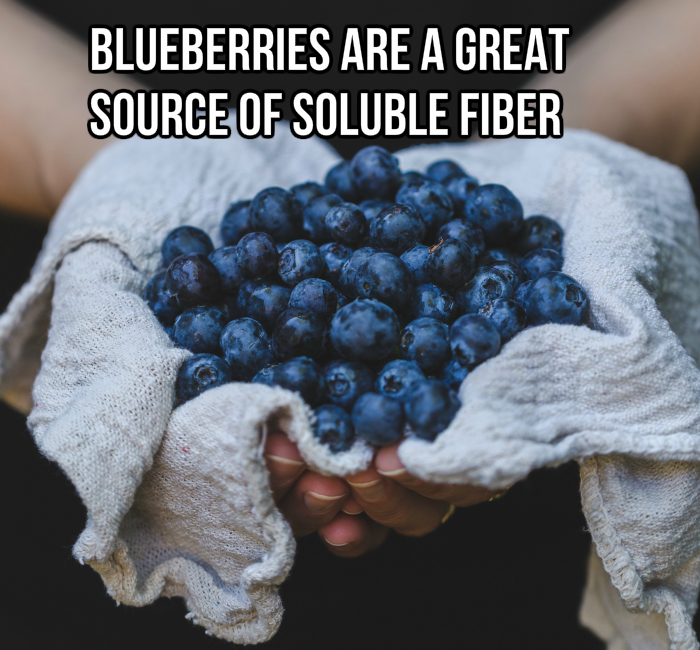 There are two types of fiber that you'll find in whole plant foods: Soluble and Insoluble Fiber. I'll explain the difference between these two types of fiber in a moment. But first we need to talk about the Nutrition Facts label. How Do You Know If a Food Has Any Fiber? If you've ever looked at a Nutrition Facts label, you've likely seen Dietary Fiber listed on the label. That's a very important bit of info on that label. Why? Because, if you're serious about improving your health and reversing your blood sugar issues, you HAVE TO eat more Dietary Fiber everyday! 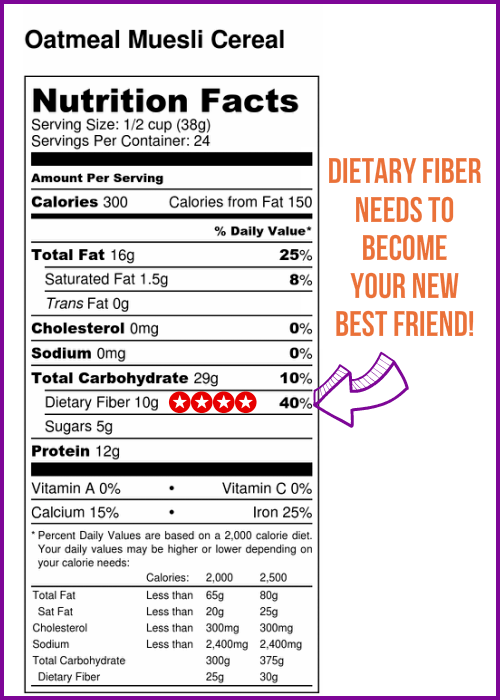 So each time you buy food, look at the Nutrition Facts label for Dietary Fiber. 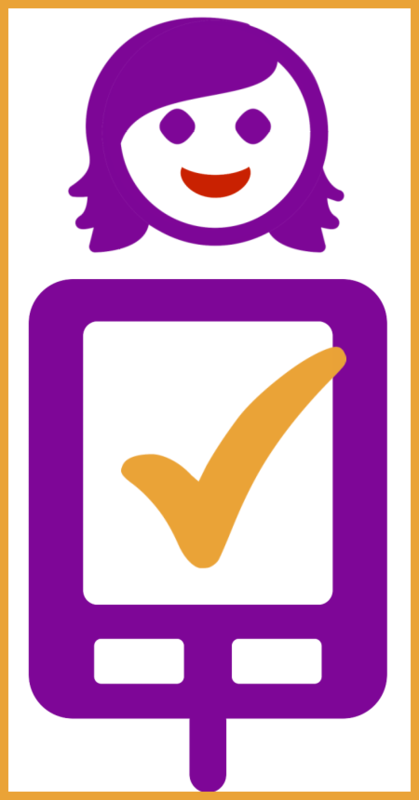 Look right underneath the TOTAL CARBOHYDRATES line to see if your food has any Dietary Fiber. Even is there is no Dietary Fiber in what you're thinking of buying, "Dietary Fiber" still has to be listed...but it will say zero grams. Here's an example for you. Look at the Nutrition Facts label below for my Oatmeal Muesli Cereal. You'll see it has 10 grams of Dietary Fiber. 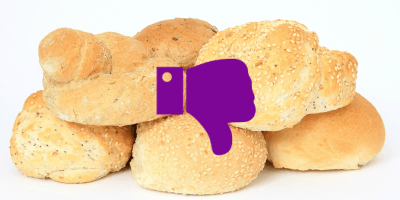 Do you wanna know what foods have NO fiber at all? Meat, eggs and dairy have NO fiber. You'll have a heck of a time controlling your blood sugar if you eat no fiber. You'll also increase your chances of getting cancer, heart disease and many other terrible chronic diseases. Want to live longer? Eat more fiber! 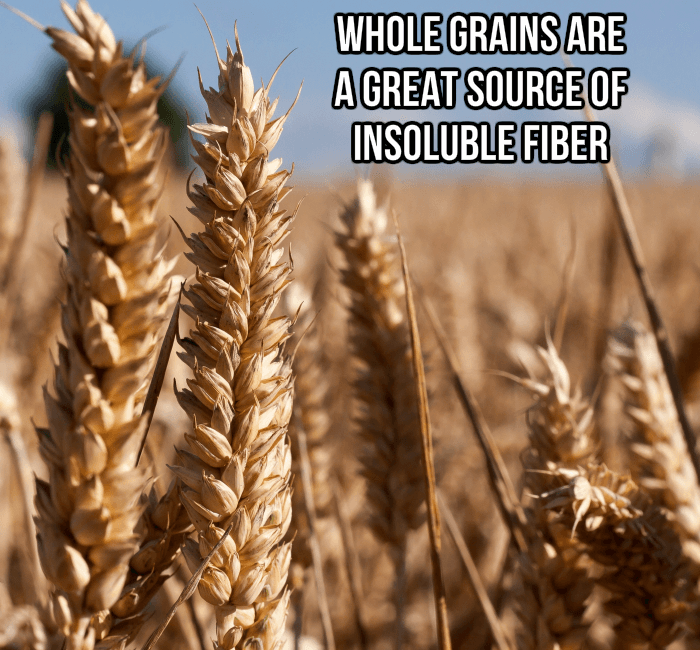 Insoluble Fiber Helps You Have Wonderful Bowel Movements and More! So, I mentioned that there actually two types of fiber: Soluble and Insoluble Fiber. Let's first talk about INSOLUBLE fiber because it's just what the doctor ordered when frequent constipation is your reality. And hey...no one wants to strain or have a terrible time in the bathroom. 2 to 3 bowel movements a day is NORMAL. If you don’t have AT LEAST one bowel movement a day, you're constipated. Insoluble fiber doesn’t get digested much AND it basically comes out the other end looking pretty much the same way it did when you ate it. This is really good, by the way. Because INSOLUBLE fiber, with all its undigestible parts, helps you avoid constipation. AND avoiding constipation is SUPER important because that's the best way to help prevent colon cancer! One example of insoluble fiber is bran from whole grains. Bran is the outer layer of skin that is on all whole grains. Refined grains, on the other hand, have no bran left because it's been removed in a factory. But whole grains are a totally different story. The bran is left on all whole grains, which is why they are high in insoluble fiber. And no, you don't need to be concerned about the carbs in whole grains. 1/2 cup serving or 1to 2 slices of whole grain bread is totally acceptable and will not affect your blood sugar much, if any. Now, I think helping to prevent colon cancer would be enough to make you want to eat lots of INSOLUBLE fiber! But the benefits of INSOLUBLE FIBER don't stop there! Wow, all these things sound wonderful! I think it's time to have a piece of whole grain toast with some chia jam! So...now we know that we need to eat INSOLUBLE fiber if we want to have a healthy colon and have an easy time in the bathroom. 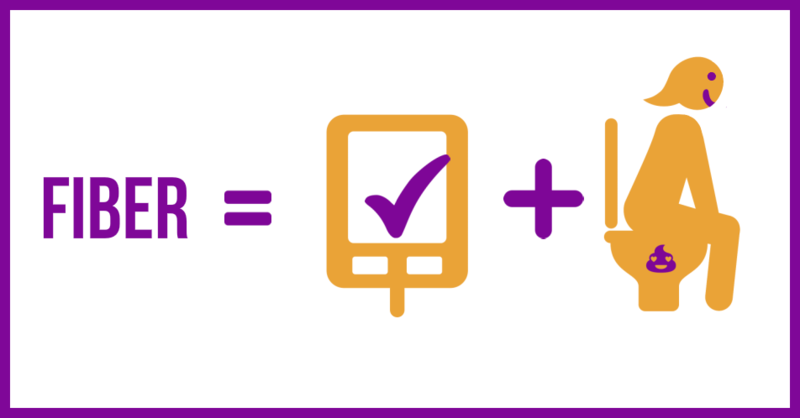 But what about getting better blood sugar control? Well, better blood sugar control is where SOLUBLE FIBER really shines! SOLUBLE fiber absorbs water in your stomach and intestines. All this water and SOLUBLE fiber makes a big gloopy mass of gel that slows down your digestion to a snail's pace. Slow digestion means you don't get a whole bunch of glucose sent into your blood stream all at once...which means your blood sugar doesn’t go up very much. Slow digestion also means you don't need to release very much insulin. So, you'd think SOLUBLE fiber helping you control your blood sugar would be enough good news to make you eat lots of it. But the benefits of SOLUBLE FIBER don't stop there! Helps you control your cholesterol. If you have cholesterol issues, eat more soluble fiber! How Can You Make Sure You Eat Both Insoluble and Soluble Fiber? Eat whole plant foods like nature made them! This way you'll get enough INSOLUBLE FIBER to keep your colon in tip-top shape, make your bathroom visits super quick and pleasant (no straining), and get rid of all those toxins in your colon that can make you sick. PLUS you'll also get lots of SOLUBLE FIBER so you'll find it easy to control your blood sugar, keep your cholesterol levels under control, make lots of inflammation-fighting short chain fatty acids, and keep your gut microbes happy. Wow! Who knew eating lots of whole plant foods was sooooo good for you! Ladies! Start slow when you increase how much fiber you eat. Why? Because your gut microbes need time to adjust. Add about 5 to 10 extra grams of fiber a day for two weeks. Then increase by the same every two weeks…slowly getting up to at least 50 grams of fiber a day — everyday! Also increase how much water you drink because you need way more water to digest all that fiber! Web MD: Soluble and Insoluble Fiber: What’s the Difference?